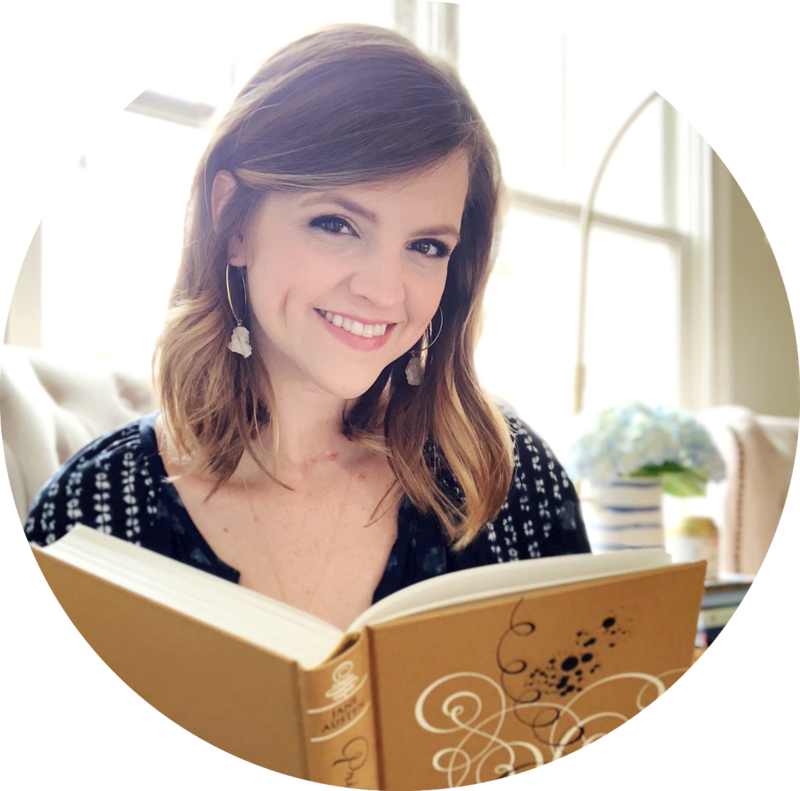 A few weeks ago, Kelly and I let you in on the scoop: we're hosting a Re-Read Challenge for 2015! We were so excited about the response, and it sounds like a lot of y'all are planning on signing up. But we know what many of you are probably thinking: "Yeah, yeah... ANOTHER challenge. I don't want some complicated challenge with lots of rules to follow. I don't have time to re-read because I don't want to get behind on reviews posts. I haven't re-read a book since I started blogging." I don't want some complicated challenge with lots of rules to follow. Honestly, we don't want to have a lot of rules either. We want it to be as easy as possible for anyone to participate, including ourselves. All you have to do is write an intro post stating WHY you want to join and WHAT books you're hoping to re-read. Then, add it to the sign up linky. 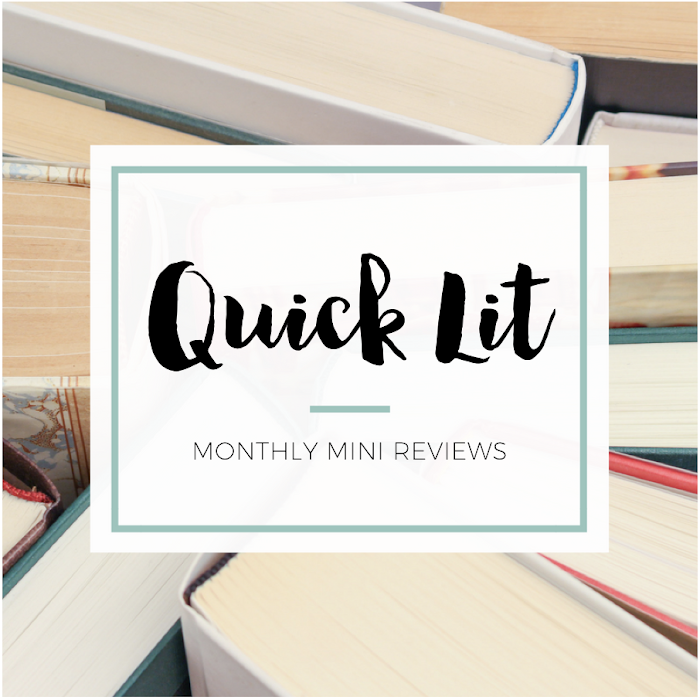 After that, just write a post each month recapping what you re-read that month and add it to the linky we'll post on our blogs each month. That's it! You've earned re-read bragging rights for the month. We'll explain it all below, but trust us... it's not difficult. I don't have time to re-read because I don't want to get behind. BOOM. You're done! Post it. Add it to the monthly re-read recap post. 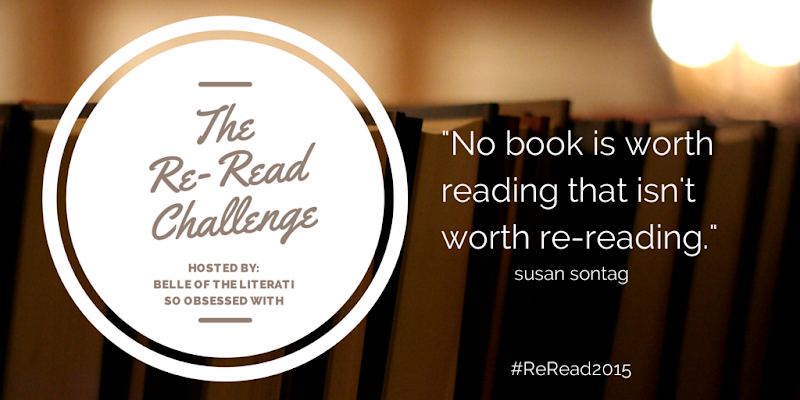 Tweet with the hashtag #ReRead2015. You've got a post for your blog AND the challenge. Each post you link counts as an entry to our giveaways. I haven't re-read a book since I started blogging. Now is the time to start! Relive the magic of your favorite books. Return to your favorite stories, characters and worlds. Remember what it was like the first time around, and see just how fun it can be to re-read. Tomorrow, I'll post an example re-read review. I'll use the format detailed above, so you can see how easy it is to re-read AND have new content for your blog. In January, I'll share my kickoff post with the books I'm hoping to re-read. The graphic in the sidebar will link back to this post, so you can come back later to sign up! This challenge will run from January 1, 2015 - December 31, 2015. The sign-up linky will remain open until the end of January, but join at any time by adding your intro post to any monthly re-read recap linky. Any genre, length or format of book counts, as long as it's a re-read. We will have two giveaways - one at the six-month point and one at the end of the year. Giveaway details posted closer to the halfway point! You don't have to follow our blogs to participate or be entered in the giveaways. Write a post about joining The 2015 Re-Read Challenge on your blog. In the post, include the banner, a link back to our sign-up page, the number of books you'd like to re-read and list some books you're hoping to re-read for the challenge. DONE. It's as easy as that to get started. If you write any re-read reviews (it's totally optional! ), add those to the monthly linky for additional entries (one per post) in our giveways. Writing up my post this weekend! This will be so much fun! I'm so excited to participate in this challenge! Which says something in itself since I never really participate in them, but this is perfect for me since I miss rereading. I just need to write my post and then I'll be linking up! Seen a few blog posts about this challenge and I love the sound of it. Going to scour my bookshelves and sign up this week - thanks! joining in! I am looking at going over my goal of re-reads for this challenge! I haven't written my post yet, but you gals already know that I'm so darn excited for your challenge! I love rereading old favorites whenever I can, and this is just extra encouragement and support to keep on doing so. Can't wait to indulge in a ton of rereads right alongside you both! THANK YOU! For years I've been saying I want to go back and re-read x series...and then never make time. This challenge is the kick in the pants that I needed! This is so fun!! THANKS FOR HOSTING THIS! :D I haven't reread anything last year, that's why I'll be participating in this one. :) I'm excited to see what happens for this challenge! All signed up :D I love re-reading!! !